[prMac.com] Wellington, Florida - Children of all ages can perfect their articulation and get a head start in speaking with Speech Therapy for Apraxia 1.2 for iOS and Android. Developed by Blue Whale Apps and a certified Speech-Language Pathologist (SLP) from the National Association for Child Development (NACD), Speech Therapy for Apraxia helps individuals practice speaking by presenting a variety of phonemes and moving through a gentle progression of levels that challenge motor planning for speech. Adults with apraxia/dyspraxia, parents and therapists working with children with apraxia, those learning English as a second language and even children just learning to talk can all boost their speaking proficiency by conveniently practicing with the Speech Therapy for Apraxia suite of tablet apps for iPad, Kindle, Nook and Android tablets. Perennially in the Top 25 Medical category for paid iPad apps, Speech Therapy for Apraxia is the # 1 speech therapy app available on the market. 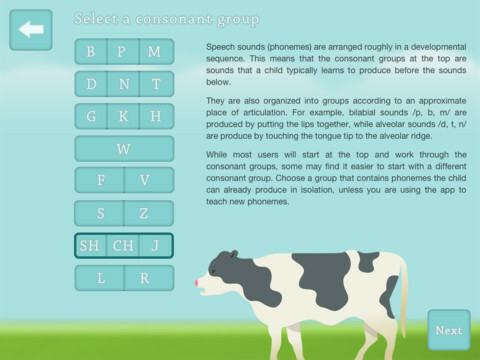 The app organizes groups of consonants in eight levels roughly by developmental difficulty and place of articulation (bilabial vs. labial). 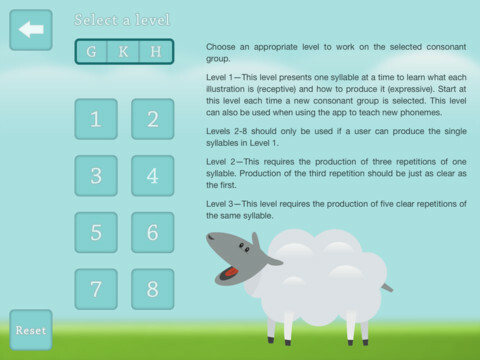 Beginning with a consonant group of their choice, users learn the production of syllables by completing repetitive activities in which they produce different sounds. The lessons progress through increasingly difficult production sequences all the way to the production of sequences of random syllables. The app also includes artfully drawn illustrations, audio and repeat features to support users as they practice each sequence. "Activities that are commonly used to remediate problems or delays in developing speech can also be used with typically-developing children to help facilitate their development," said NACD Speech-Language Pathologist Lori Riggs. "Motor planning for speech (affected in individuals with apraxia) is a skill that toddlers develop as they start to vocalize. Speech Therapy for Apraxia is a fun app that parents can use with both their young, developing children and children with apraxia to help develop their speaking skills." "Speech Therapy for Apraxia is an essential tool for anyone who wants to better their speech," said Gregg Weiss, Founder of Blue Whale Apps. "Personally, I can attest to the app's effectiveness in treating my daughter's apraxia as well as its role in assisting my 19 month old son to speak. I'd recommend this app for anyone with an infant or toddler." 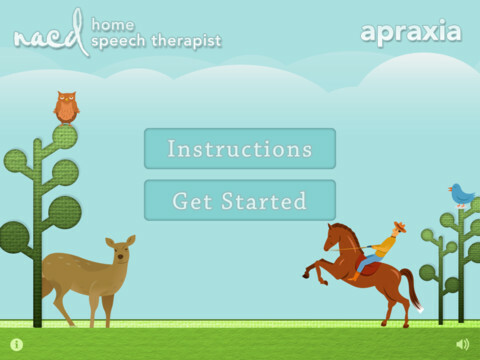 Speech Therapy for Apraxia is the first of the NACD's line of apps. Speech Therapy for Apraxia - Words, the organization's second release, builds on the lessons taught in the original app by focusing on the production of words. The National Association for Child Development is a unique organization with a unique approach to brain growth and development. Founded in 1979 by Bob Doman, NACD has helped parents enhance the development and function of their children for over 30 years. In its work with tens of thousands of clients, NACD has developed an approach to human development, the achievement of human potential, and the remediation of developmental, educational, and neurological problems that is based upon the gestalt of the individual. The efficacy of NACD's Targeted Developmental Intervention has been demonstrated with individuals from infant to geriatric, whose function has ranged from comatose to gifted. It is from this background and experience that the NACD team of neurodevelopmentalists and therapists, including speech/language pathologists, has created the NACD Home Speech Therapist line of speech apps. Speech Therapy for Apraxia 1.2 is $4.99 USD (or equivalent amount in other currencies) and available worldwide through the App Store in the Medical category. It is also available on Google Play, Amazon App Store and Nook Store. For more information on Speech Therapy for Apraxia and Speech Therapy for Apraxia - Words please visit the app website. Blue Whale Apps is a mobile app development company specializing in high quality and engaging iPhone/iPad apps for medical professionals and the healthcare industry. Blue Whale brings you a team of highly experienced professionals who've worked with the world's leading technology, advertising and design companies. Copyright (C) 2013 Blue Whale Apps. All Rights Reserved. Apple, the Apple logo, iPhone, iPod and iPad are registered trademarks of Apple Inc. in the U.S. and/or other countries. All other trademarks and trade names are the property of their respective owners.